Hello, my name is Harriet Moss, the creator of ClubSox. I love golf, but sometimes there are things about this sport that can be really frustrating. 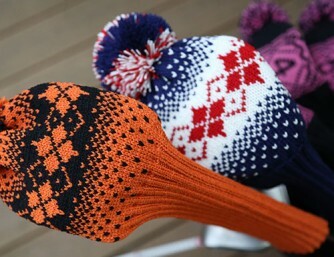 And I’m not talking bogies; I’m talking head covers. 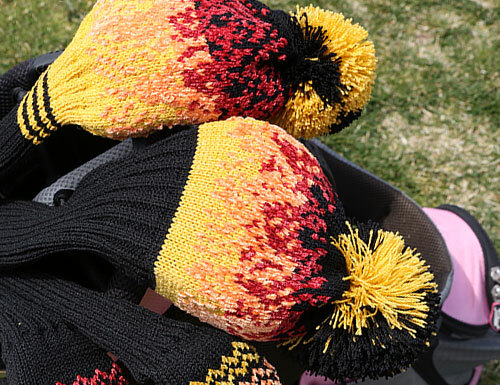 I have lost count of the number of head covers I’ve lost over the years, either between the car and the clubhouse or between shots on the course. The covers I have received over the years were frankly just boring. They were designed to show off the manufacturer, not my personality or fashion style. So instead of staying frustrated I decided to pair my experience as a knitwear designer to create my own set. 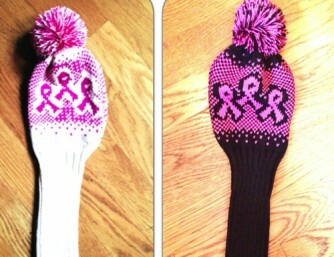 Friends, family and even golfers I met while playing loved them so much, suddenly I was knitting head covers for them. And that’s how ClubSox was born. Knitted in the USA with 100% wool crepe, ClubSox head covers are durable, easy to clean and they stay where they’re supposed to – on your clubs! Not only that, they are attractive, fun and add personality and fashion to your bag. I invite you to check out my collection and let me know what you think. You can even customize your head covers with colors that fit your style. Dress up your bag 1 club at a time.